The burpee off of a step or bench is a beginner full body conditioning exercise. 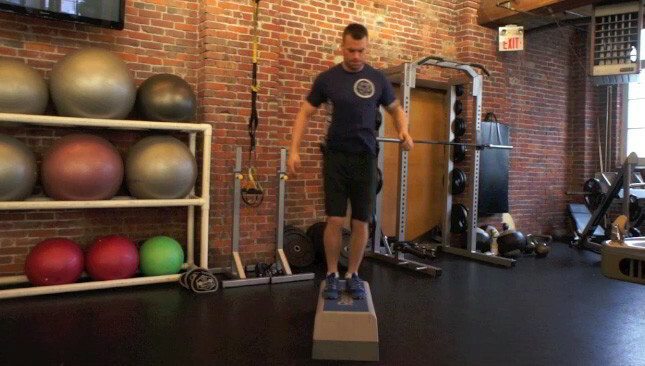 This exercise targets the legs, shoulders and arms and is suitable for all fitness levels. The marching step is a lower body conditioning exercise that targets the legs. The step-up curl is a compound exercise that targets the legs and arms.